The Police Commissioner Fuiava Egon Keil is a busy man. We get that. What with himself and his men still chasing one of Samoa’s most wanted criminals who has been on the loose for several months now and the security of the nation at stake, he needs to be on the ball. All the time. But he doesn’t have to be so discourteous about it that he repeatedly hangs up on a poor reporter who is also merely trying to do her job. Which is precisely what happened on Wednesday when Reporter, Lanuola Tusani Tupufia, from this newspaper contacted him for an update on an incident that unfolded the night before. For the uninitiated, on Tuesday the Fire and Emergency Services Authority (F.E.S.A.) and the Police worked late into the night at the Papapapaitai Fall at Tiavi. They had responded to a phone call from a Tiavi resident who alleged that her grandchildren heard the screams from a woman in the area. They feared she might have been pushed down the valley with the husband leaving without her. So more than 20 officers were at the scene, attempting to locate the person and to confirm the report from the caller. The firemen turned up and descended downhill using ropes to try and find the person. They were unsuccessful and eventually decided to call it a night. The next day on Wednesday, F.E.S.A. Assistant Commissioner, Tanuvasa Petone Mauga, told the Samoa Observer they did not resume the search and rescue operation. He said they would only return if the Police asked them. Naturally, it was necessary for the reporter to ask the Police to tell our readers what had happened and why the search had been discontinued. The fact is there were fears expressed that a woman had gone missing in the area. If it turned out that it was a false alarm, then the Police have a responsibility to acknowledge the fact publically. As the media, we can then assure members of the public that it was a false alarm and we move on. It’s that simple. At Tiavi on Tuesday night, Police officers there said all questions must be referred to Police Commissioner Fuiava. Which is fine by us; if that’s the Police’s media inquiry process, then so be it. The problem is that when Police Commissioner Fuiava was contacted, he repeatedly hung up on the reporter without an explanation. Called the first time, he answered the phone and when he was told it was a reporter from the Samoa Observer, he hung up. Two more calls placed to the Police Commissioner’s number were not answered. When the Samoa Observer attempted a fourth time, using a different number, the Commissioner answered and asked whom the caller was. Told that it was a reporter from the Samoa Observer, he hung up again. Now what has the Samoa Observer done to the Police Commissioner to deserve such an unprofessional and discourteous response? We ask this because we know he is repeatedly quoted by other media organisations in their stories? Does the Police have separate rules for media organisations? 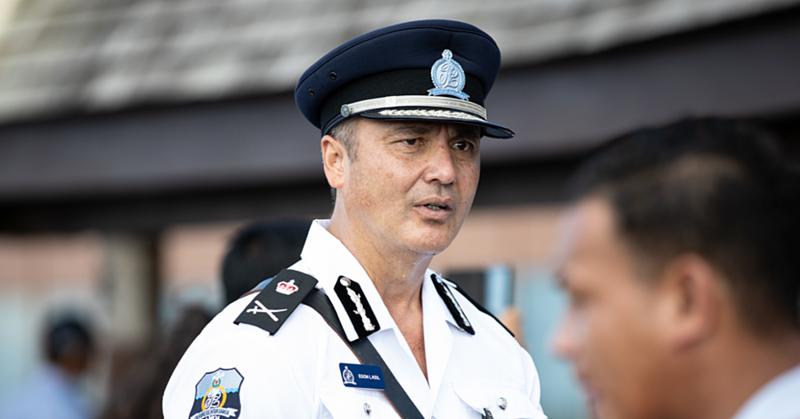 On the other hand, if the media – including the Samoa Observer – are ears and eyes of members of the public, does the Police Commissioner not realise he is hanging up on the people of Samoa who deserve answers to the questions the reporter had? As an individual, Fuiava is entitled to his silence. But as a professional, he is certainly not. As the Police Commissioner, he has a reasonability to answer media queries; it’s part of his job, it comes with the territory. It’s called accountability and being transparent. If the Commissioner doesn’t want to answer – or if he was busy – he could easily say so. Common courtesy could have been used in telling the reporter he was not available if he was busy. Or he could delegate someone else within the Police to handle media queries. That is how many other Police Commissioners of the past have dealt with it. None of them has ever been so rude and childish as to continue to hang up on this newspaper without an explanation. We need to remind here and now that while the Police have a job to do, reporters and the media also have their role to play. It involves disseminating accurate information to members of the public. Now if the Police refuse to provide that information, who else will? The irony is that they are so quick to accuse the media of using secondary information when inaccurate information is printed? Said Tuilaepa: “As I have reiterated time and time again, my office is always packed with people travelling from all over the country to see me every day. They even come to my home before and after hours. As the Minister of Police, perhaps Prime Minister Tuilaepa should sit down with his Police Commissioner and offer him some of this advice again. Have a wonderful Friday Samoa, God bless!